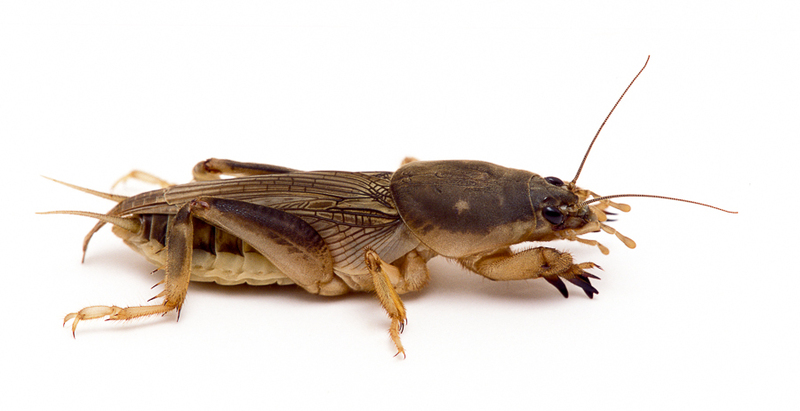 Song of a Southern Mole Cricket (scroll down for explanation and additional recordings!). 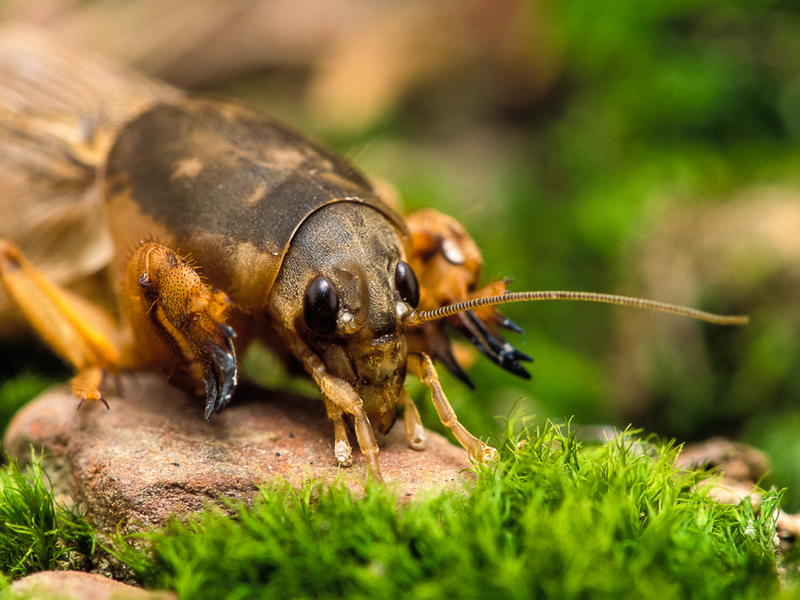 Native to South America, the Southern Mole Cricket and two other members of the same genus, the Tawny and Short-winged Mole Crickets, were introduced to the Southeast about a century ago, probably arriving as stowaways in the ballasts of ships. All three species are pests. 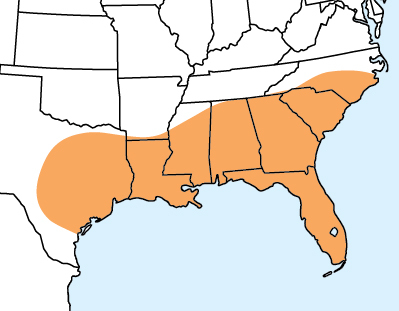 The Southern, although primarily carnivorous, will eat the roots of newly planted seedlings in lawns and gardens, and the other two species, being mostly herbivorous, can cause serious damage to lawns, pastures, and golf courses. Southern Mole Crickets make their burrows in wet sandy or mucky areas, often near streams, or lakes, or ponds. Each evening before calling, males make and tune a special burrow that has a horn-shaped opening, allowing the male to amplify his song and direct it skyward. He sings mostly during the first two hours after sunset. Huge flights may occur during early evenings on warm spring days. Females find mates during these flights and are attracted to males with the loudest songs, landing near their burrows. Sonogram of a Southern Mole Cricket. © Wil Hershberger.